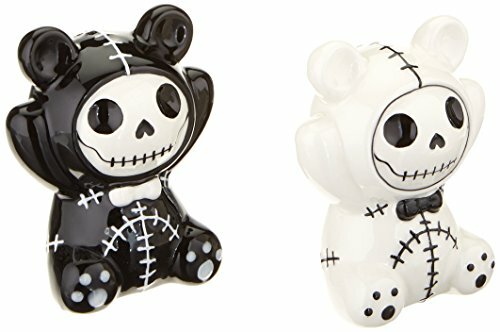 This gorgeous Pandie Panda Bear Furry Bones Salt N Pepper Shaker has the finest details and highest quality you will find anywhere. The Pandie Panda Bear Furry Bones Salt N Pepper Shaker is truly remarkable. Product is crafted with: Ceramic. ITEM SKU: SS-Y-1374. If you have any questions about this product by SUMMIT BY WHITE MOUNTAIN, contact us by completing and submitting the form below. If you are looking for a specif part number, please include it with your message.